The Town of North Hempstead wants the Federal Aviation Administration to redirect their air traffic so residents can live in peace. Residents are continuously calling the Town due to the incessant aircraft noise occurring over their communities, according to Town Supervisor Judi Bosworth. New York Senator Schumer and Senator Gillibrand’s letter to the FAA Administrator Michael Huerta. It’s a start, and we appreciate the letter from our Senators. We’re glad they brought up the topic of DNL, but not necessarily mentioning the push for more modern levels, 55db (which entails a flawed method on how airplane noise is measured, by taking the aggregate data and not per flight basis). Community engagement is huge. Let’s see if/how the FAA responds. Please send your thanks to our Senators for their letter. North Hempstead, NY – North Hempstead Town Supervisor Judi Bosworth and the Town Board announced that the Town’s Aircraft Noise Public Education and Outreach Committee has released a newsletter, which is now available on the Town’s website. The newsletter includes articles regarding the rise of aircraft noise in the Town, how it affects the quality of life, information about local initiatives and possible remedies for the problem. You can read the full report at: www.northhempsteadny.gov/aircraftnoise. “Airplane noise is a quality of life issue that affects our residents and these committees serve as a conduit to bring their concerns to our federal officials and the Federal Aviation Administration (FAA),” said Supervisor Bosworth. The Town of North Hempstead has created two aircraft noise committees in 2015 to help advocate for reduction in overhead aircraft noise. Now, Supervisor Judi Bosworth has announced a newsletter will provide residents with updates on meetings between the committees and the Federal Aviation Administration, WCBS 880’s Sophia Hall reported. Mayor of East Hills to County Exec and Supervisor: Sue The FAA Now! It’s Plane Wrong! Below are links to copies of the letters which were sent to these officials. 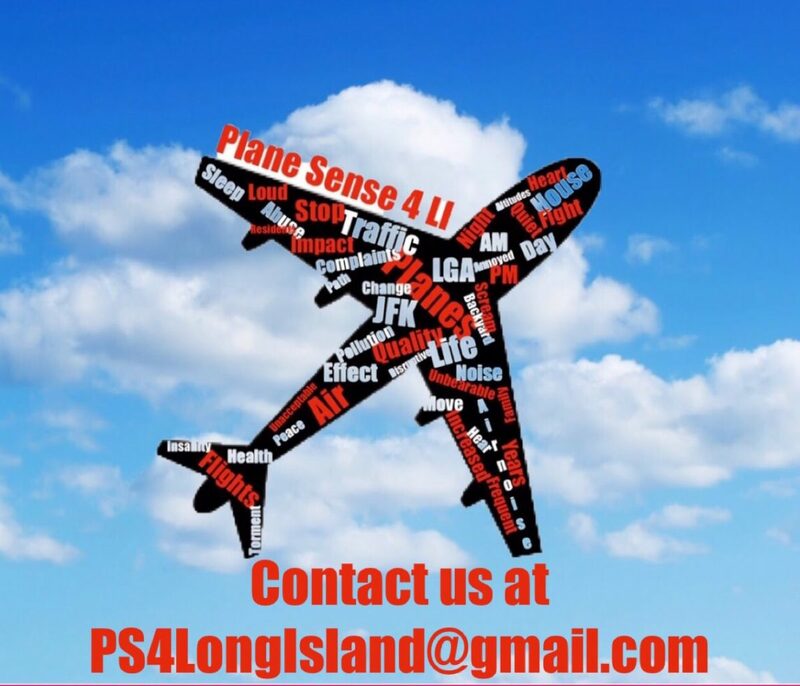 Author planesense_kPosted on April 12, 2016 Categories FAA, Long Island2 Comments on Mayor of East Hills to County Exec and Supervisor: Sue The FAA Now! It’s Plane Wrong!